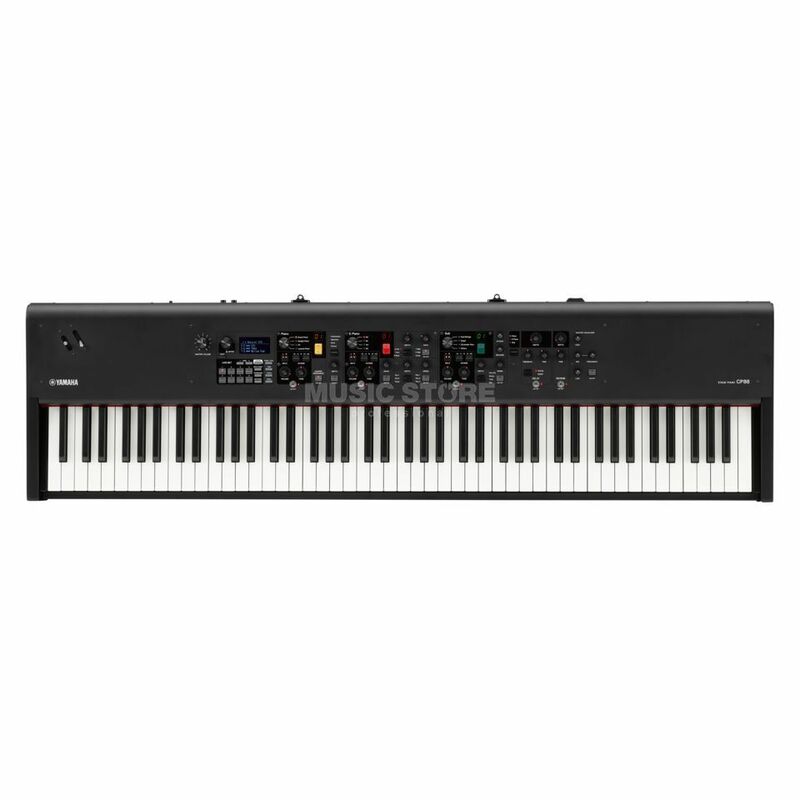 The Yamaha CP88 Stage Keyboard is a very compact, portable stage piano for live keyboard players. Equipped with 88x weighted keys and a weight of only 18.6kg, it is the ideal companion for any stage performance. The CP88 has a wide range of sounds, a very high-quality keyboard, an extensive effects area and everything you would expect from a professional stage piano as a musician on stage. The Yamaha CP88 has a weighted, graduated hammer mechanism with 88x real wood keys and a triple sensor system (NW-GH). The added third sensor allows real repetitive play like on a real grand piano. The surface of the keys is made of synthetic ivory or real ebony. The CP88 has a selection of 57x voices for direct selection. These include the Yamaha CFX, the Yamaha S700 and the Bösendorfer Imperial 290. Furthermore, the stage piano offers a selection of electric-piano sounds (such as the CP80), opulent strings, pad sounds and various synth sounds. The Yamaha CP88's clear, one-to-one user interface ensures immediate and direct control of all parameters at all times. The intuitive control concept allows you to quickly set split points, layer sounds and implement extensive sound modifications. With integrated USB, MIDI and audio connections, the CP88 can be perfectly integrated into a wide variety of studio and live set-ups.